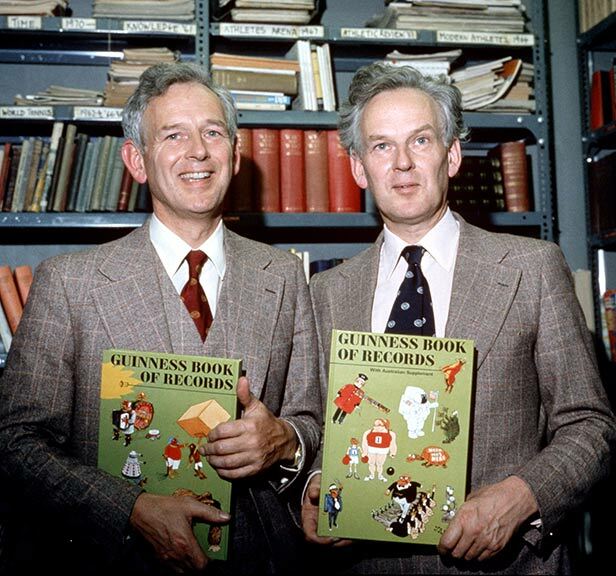 Sir Hugh Eyre Campbell Beaver together with brothers Norris and Ross McWhirter compiled the Guinness Book of Records in August 1954. 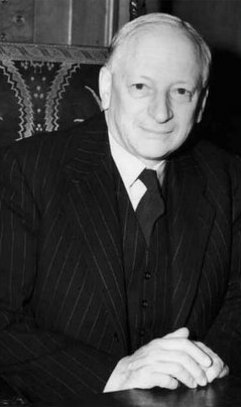 Hugh Beaver was at the time the Managing Director of the Guinness Brewery. He was attending a shooting party in County Wexford, Ireland where he and his hosts got into a debate about which is the fastest game bird in Europe? After a fruitless search for a reference for such facts, he had the idea that Guiness could provide a 'record' book for settling arguments in Pubs. Norris was the timekeeper for Roger Bannister's sub four-minute_mile in 1954, while Ross helped locate the lost grave of rugby pioneer William Webb Ellis on the French Riviera in 1958. On November 27, 1975, editor Ross McWhirter was assassinated by two members of the Provisional IRA outside his North London home.